I’m slowly coming back down to earth after my brilliant weekend at 100% Optical. I will write a full blog post all about it and have already shared a lot over on Instagram and Instagram Stories. In fact the Stories are all there in the highlights if you’d like to see. (The highlights are in the circles underneath my biography if you’re not familiar with them). 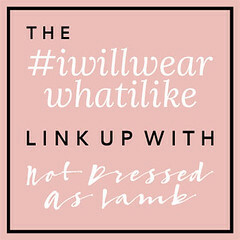 But this post is about Eyewear Week. 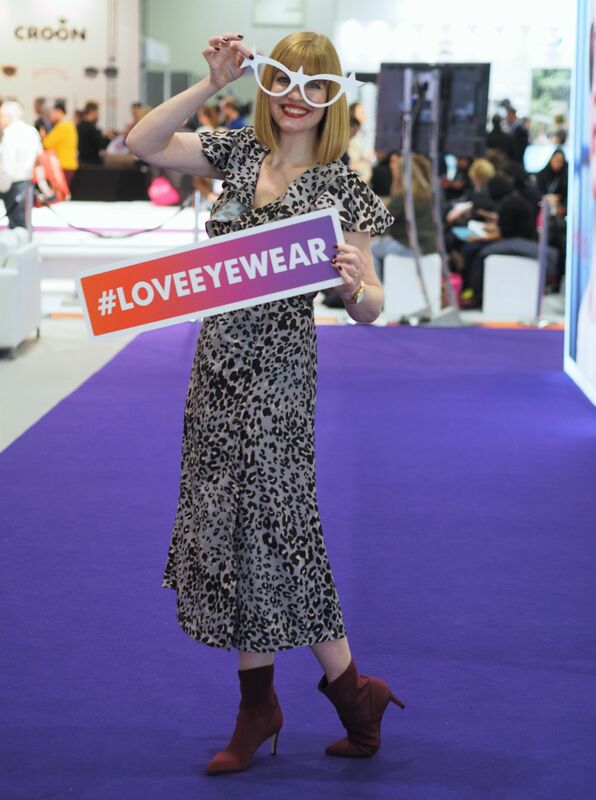 This year, 100% Optical launched Eyewear Week, a brand new campaign, with the hashtags #EyewearWeek and #LoveEyewear, which ran from 7th– 13th January. 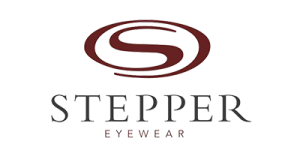 The aim is to help save the high street and to help the optical industry generate public awareness around the latest eyewear trends and designs, something about which I’m passionate. This is because according to a survey of 6000 consumers, one in ten British eyewear wearers buy their glasses and sunglasses online. This might be more convenient, but visiting a bricks-and-mortar practice and seeing a dispensing optician ensures the very best type of lens and frame for each individual’s prescription, visual requirements and face shape. 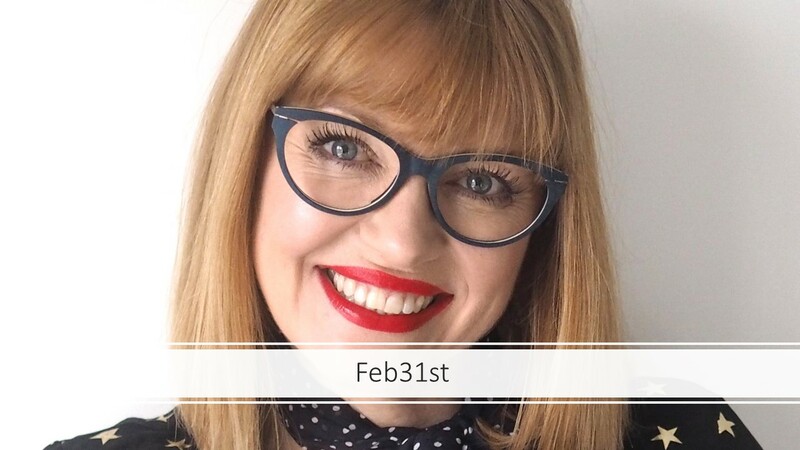 Every day throughout the duration of Eyewear Week, I posted a picture to Instagram of me wearing one of my frames. This was in part to raise awareness of the campaign. It was also to demonstrate just how beautifully form and function work. The first two frames eher are by Italian brand Feb31st. They were making sustainable frames long before it was fashionable to do so. The bespoke nature of this brand, because of the shape and colour options, means there are over 6 million permutations available. These two caught my eye when I met Jason Robinson the UK sales manager. After that, at 100% Optical, Jason introduced me to Stefano, the owner of the company. There, Ian and I designed our own bespoke frames which I can’t wait to wear and share. And not only is this a fabulous brand from an aesthetic point of view, it is a sustainable brand which supports 4Ocean.com. 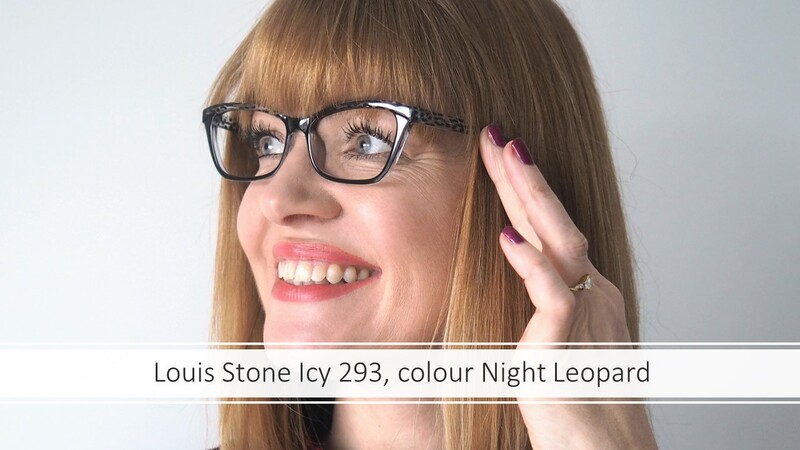 This pair is from Louis Stone, a brand which sells optical equipment as well as frames. It was the grey leopard print detail that appealed on this plastic frame. I consider animal print to be an excellent neutral and the frame works with outfit after outfit. It’s available in an olive green colourway too which is just as desirable. You can’t see it on this photo, but this Basebox frame also has animal print sides. (You can see it at the foot of the post in the carousel). Pastel shades will be popular this spring this soft peachy pink is very romantic and flattering. 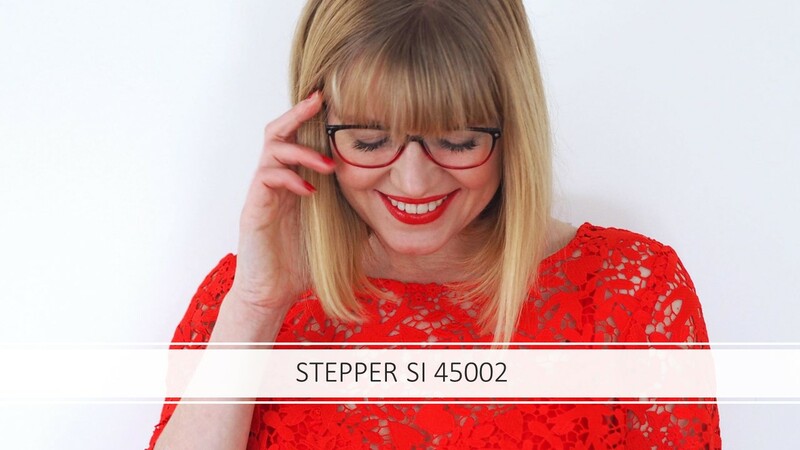 I have been working with STEPPER for a year now and write a piece for their blog every other month so I have access to their whole range of frames. We stock a range at the practice I work in and the overwhelming feedback is just how lightweight and comfortable they are. And every time I wear one of my Stepper frames for work, at least one patient each day compliments me and asks if they can try the same style. The purple ones below are understated and elegant and the colour works beautifully with grey. These two-tone frames however are altogether bolder and are perfect for people, like me, who love to wear red. And speaking of bold styles, this pentagonal statement frame by LA Eyeworks, leapt out at me from the fabulous selection we have at the practice I work in. This is probably the most eye-catching of my frames, (for now at least!). I have just ordered bespoke varifocal lenses to go in. This in itself was a fascinating process and one that again, I’ll write about in due course. I have started my own hashtag too, #make_a_spectacle. I have tagged all of my eyewear and optometry Instagram posts with it and will continue to do so because it makes them a lot easier to find. 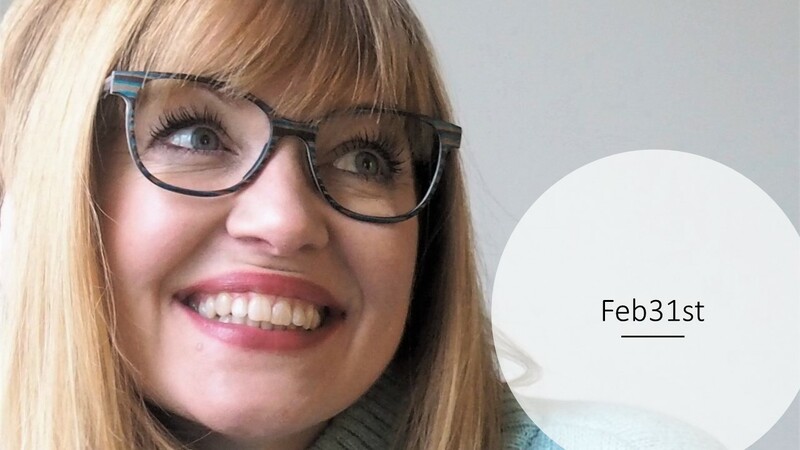 And do take a look at the #EyewearWeek and #LoveEyewear hashtags for lots of inspiration. I need my reading glasses more and more, something I expected of course, so I’m even more passionate about eyewear and just how many fabulous frames there are. And after seeing the thousands of beautiful designs at 100% Optical, I’m spoiled for choice. 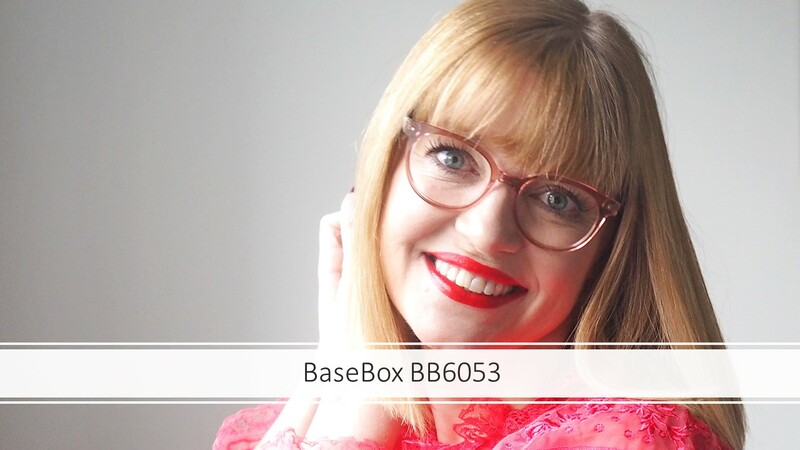 The Feb 31st, BaseBox and Louis Stone Icy spectacle frames were gifted to me for purposes of promoting Eyewear Week. 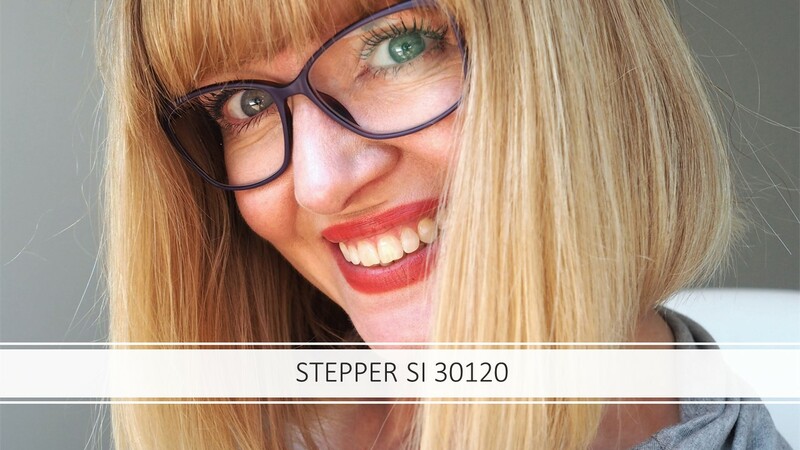 The Stepper frames were gifted as part of my ongoing collaboration with them. 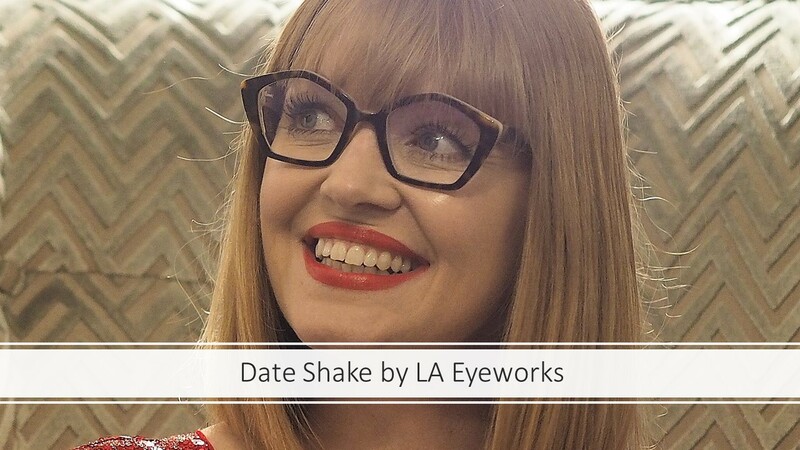 I purchased the LA Eyeworks frames myself. All opinions are 100% honest and all content is my own. SO MANY FRAMES TO CHOOSE FROM. YOU NEED 1 OF EACH. What a fabulous round up of frames! I love that since we share similar coloring, I know that any of these that I love on you will probably work on me. So far, my absolute favourite is the second pair by Feb 31st. I love your glasses coverage; what a BRILLIANT niche to have your expertise on this topic in blog form. Brava, beautiful.